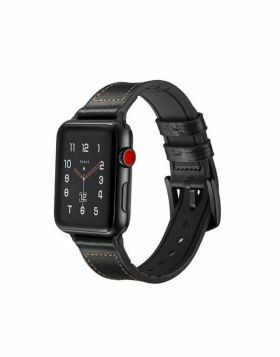 - Give your Apple Watch a sophisticated touch with this premium leather apple watch band. 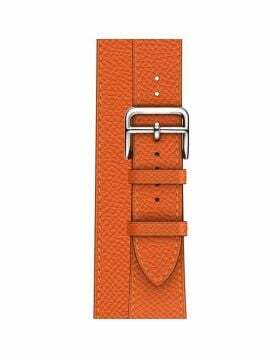 The band itself is two-sided leather held together with fine, meticulous stitching. The leather - taken through a specialized six month process from tanning to polishing - is designed to beautifully patina with time, creating a handsome, rich leather strap with a look that is uniquely yours. - Offers durability and comfort. Not recommended for wear in water. - EASY INSTALL: The adapters at both ends locks into iWatch interface precisely and securely. Easy to install and remove. 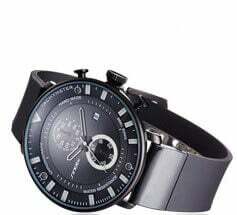 - 100% compatible with apple watch 38mm/40mm and apple watch 42mm/44mm Apple Watch models. Perfectly fits with Apple Watch First Generation, Apple Watch Series 1, Apple Watch Series 2, Apple Watch Series 3, the NEW Apple Watch Series 4, and Apple Watch Edition. This Cool Leather Apple Watch Bands fit any wrist. 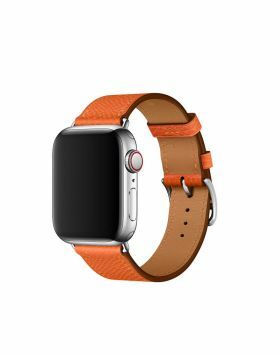 - Stylish and attractive color makes this Leather Apple watch band look fantastic with your Apple Watch giving a nice professional look on any occasion. Question:Are these leather apple watch bands waterproof? Answer: Please don't wear this leather band for longtime underwater activities- such as shower, swimming, etc, so as to avoid any smell, stiffening caused rupture. We also suggest putting it in the ventilated place after you exercise sweat. Question: How to install or remove this band? Answer: Just gently slide the band into the watch slots.